Songs Elazar Loved features local Hebron area musicians Sinai Tor, Shivi Keller, Bini Landau and others. The CD Songs Elazar Loved is a collection of songs indicative of the music scene in Hebron and the greater Hebron Hill region. Staff Seargent Elazar Lebovitch (sometimes spelled Leibowitz) of Hebron, was killed in 2002 protecting a family driving home who was ambushed by terrorists on the road. He was driving newlyweds Neria and Sara Ben-Yitzhak to Hebron to celebrate their first Shabbat together with Neria's parents. The traveling from the opposite direction was the Dikstein family, who were also targeted by terrorists. Three members of the family were killed and two were injured including children. St.-Sgt. Elazar Lebovitch, who was celebrating his 21st birthday, served in the Nahal Brigade. He was the fifth child of Yossi and Etta Lebovitch, veteran residents of the Avraham Avinu neighborhood in Hebron. Orit Struck, a resident of Hebron, described Elazar as full of life, an idealist who volunteered for every task. Several years ago his brother Yedidia was wounded in a stabbing in the Hebron market. 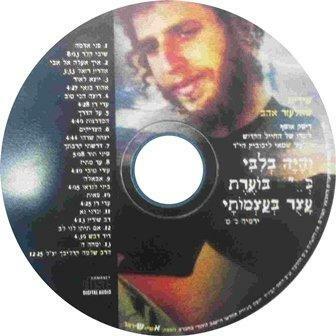 A few months ago, due to the widespread shooting attacks and bombings throughout the country, Elazar had prepared a will that included instructions for his funeral, who should eulogize him and how he was to be buried, including requests for music. St.-Sgt. Elazar Lebovitch was buried in the old Jewish cemetery in Hebron, near the graves of the victims of the 1929 Hebron massacre. A music concert took place in his memory and a CD entitled Songs Elazar Loved was released including well-known musicians, several from the area. The tracks listing includes live recordings from his memorial concert as well as Ehud Banai, Shivi Keller and Ein Od Milvado, Sinai Tor, Aaron Razel, Shlomo Carlebach, Adi Ran, Hamadregot, Bini Landau, and others.